The 120R-RAC-01 and 120R-RAC-02 were designed specifically for marine gasoline applications. These high-performance filters will help your engine run better than ever with clean, water-free fuel. The legendary Aquabloc®II paper media removes 99% of free water and sediment down to 10 micron (nominal). 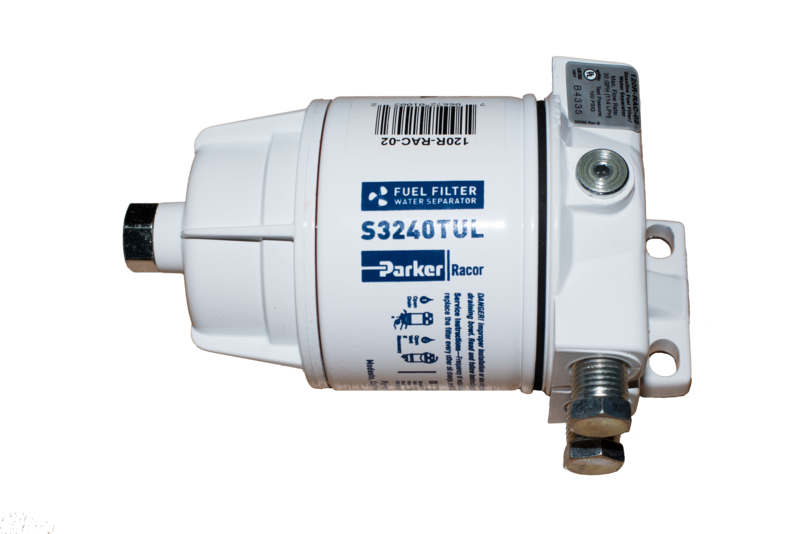 With four port mounting versatility and simple servicing procedures, there has never been a better choice for your marine application than a Racor fuel filter/ water separator.